The North Jersey Eagles – Professional Baseball Instruction’s crown jewel of the Eagles program and entry in the Atlantic Collegiate Baseball League – pulled out a thrilling 3-2 come-from-behind win over the Allentown Railers on Sunday August 4 at Overpeck County Park. Eagles starter Dan O’Neill, making his first appearance since July 11 due to a hip injury, threw 6.2 innings allowing two runs (one earned) on four hits. He walked three and struck out four. Trailing 2-0, the Eagles cut the lead in half in the top of the fourth inning on an RBI single by Zack Pazzarelle. They tied the game in the seventh when John Brucker singled Passarelle home, setting the scene for an incredible ninth inning. Chris Chiaradio hit a two-out, full-count pitch for a home run to give the Eagles a 3-2 lead. In the bottom of the ninth inning, Eagles reliever Jonathan Reich allowed a leadoff single to James Bertolotti who advanced to second on a ground out and moved to third on a wild pitch. Jeff Birkofer lifted a fly ball to right center field that was caught by Chris Smith for the second out; Smith then fired a strike to home plate to catch Bertolotti trying to score on the sacrifice fly to end the game. For the Eagles, it was the team’s second consecutive Atlantic League title. For more on the North Jersey Eagles, click here for the team’s website. For pictures from the weekend’s playoffs, go to the team’s facebook page. 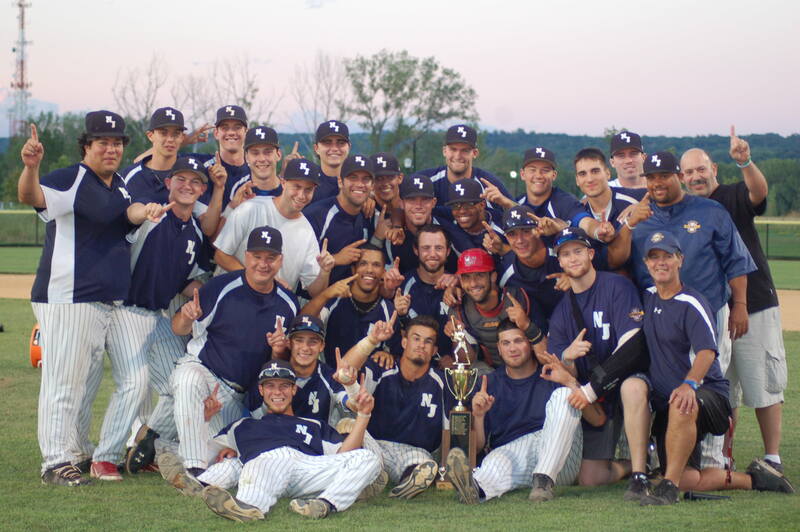 The Atlantic Collegiate Baseball League was founded in 1966. The league is a charter member of the National Alliance of College Summer Baseball and is partially funded by Major League Baseball.